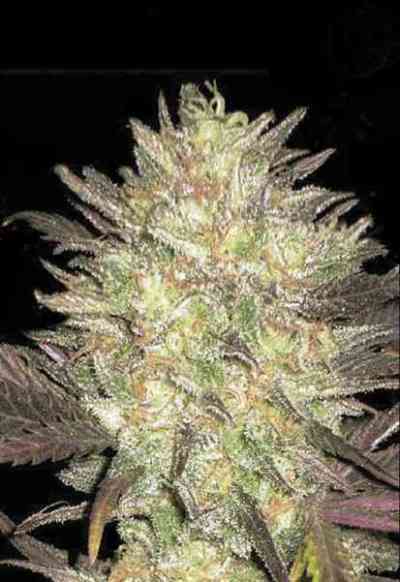 Cherry Bomb is the hard hitting, big yielding strain from Bomb Seeds. The result of crossing our monster yielding Big Bomb with a unique and fruity mother means growers can expect an explosion of flavour and maximum yields. 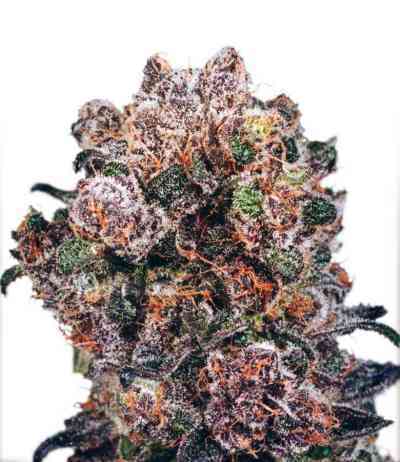 As the name would suggest Cherry Bomb has a sweet fruity aroma which is matched by the distinctive cherry taste. Think summer fruits with the classic skunk undertones. The buzz starts with an initial head high, settling down into a deep and calming body stone that won’t knock you out for the count. Cherry Bomb is the ideal strain for both commercial growers and those wanting big yields without compromising on smoke quality. 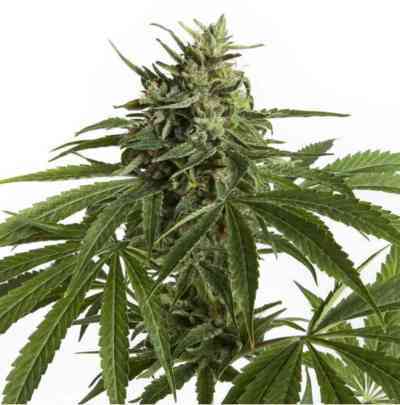 It has a heavy bud structure thanks to its Big Bomb heritage, growing to a medium height of around 100-120cm. The perfect strain for both indoor and outdoor setups, growers can expect to yield 600-650g/m² with an 8-10 week flowering time. Outdoors it will finish late September – early October. 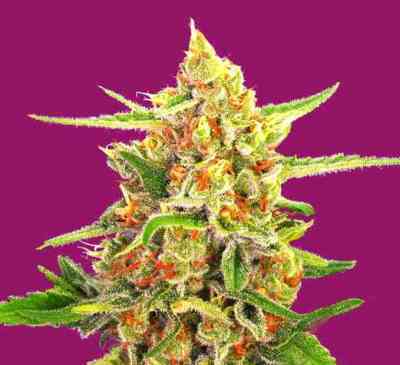 Later in the flowering period leaves can turn a purple, cherry colour with buds glistening in THC. Cherry Bomb is best smoked however you like. It works equally well as a blunt but smoked through a bong it is a real mind opener – perfect for exercising your inner creative urges.